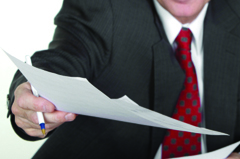 Office stationary is your first line of promoting your company. 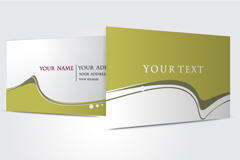 When a person picks up your business card or reads a note on your letterhead, you are making an impression. Present yourself well. Color or black and white, flat ink, or raised ink with a logo or picture, coated stock or matte finish, 1 sided or 2 sided, fold over, with bleeds or embossing, each of these features are available to help make your image in the business world. Present your company with distinction and class through personalized letterhead. Whether black ink on white stock or a full color portrait in the corner on cotton paper, these characteristics represent you and your company. Phone memo pads, scratch pads, grid pads, field note pads, or promo handout pads. A pad of paper comes in handy throughout your whole day. 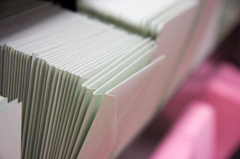 Envelopes can be viewed as simply packaging, but it is also a chance for great first impressions. 1 to 4 colors. Envelopes for invitations and thank you cards are available in 4.5” X 5.75”. Standard business size for letterhead and correspondence in #9 or #10, with or without a window Pictures and booklets are available in 9” X 12” or 10” X 13” Catalogue. 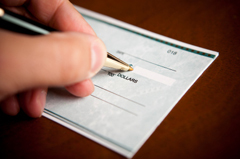 Corporate cheques need to conform to the CPA standards. 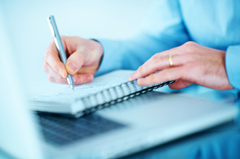 Manual and laser cheques, plain or loaded with security features all personalized to include your pertinent information.